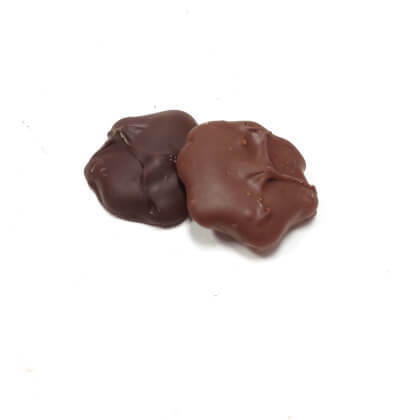 Gourmet cashew patties in milk or dark chocolate. A twist to traditional turtles. Pearls half-pound box.